As a leading fire alarm provider in the UK, at the Safety Centre we know that the right wireless fire alarm can offer so many great benefits for a range of different businesses. Even before taking into account their advanced technological attributes, any business looking to upgrade from an analogue system should consider the fast installation, portability and cost effectiveness wireless fire alarm systems provide. Throughout all of our product ranges we strive to offer an extensive choice for our customers and our selection of wireless fire alarm systems is no different. Customers can choose the Zerio Plus, a highly effective wireless fire alarm that’s effective in many different environments whether it be a workshop, warehouse, office block or school. Easily installed in a seamless process that’ll cause little disruption to environments day to day, the Zerio Plus is ideal for schools and other busy working environments. This is part of the reason why it’s become one of the most popular wireless fire alarm systems we stock. As oppose to a wired system, wireless fire alarm systems such as the Zerio Plus means there will be no need for wires. Devices can be placed throughout a building to cover each particular zone which works via a wireless signal. In our range you’ll find options for both smaller and larger areas so whatever the size of your environment, we’ll have you covered. 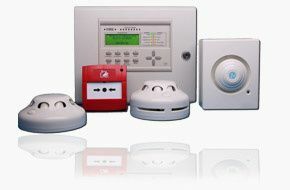 Wireless fire alarm systems from the Safety Centre are an advantage for any business that wants to provide safety for itself and its employees. Find out more about the Zerio range when you browse through our website. If you’d prefer, give our team a call on 01200 428 410.